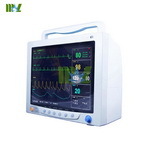 Since the first occurrence of heart rate to heart rate occurred in the second interval T1;second heart rate,heart rate occurred to a third place time interval T2;continuous record 10 times,and then calculated the average interval of 10,must the heart rate per minute. 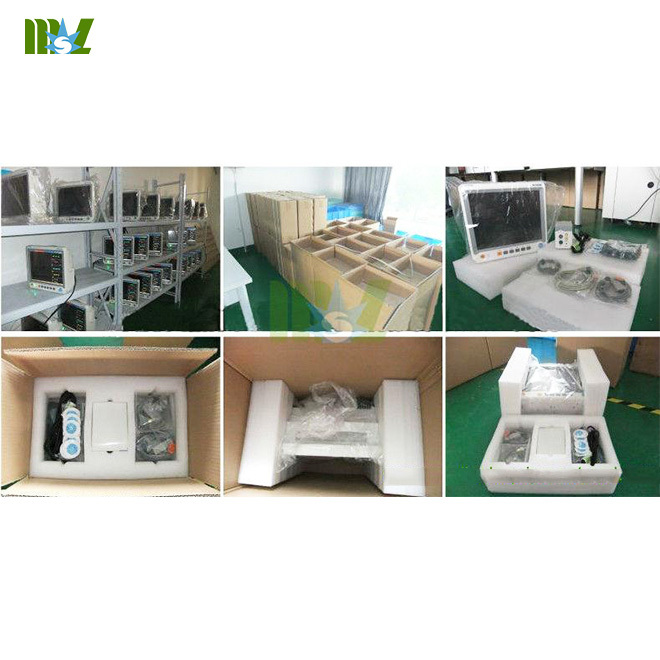 3s ~ 10s refresh every heart. 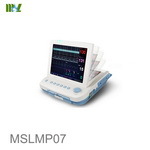 A) Couple rhythm — two waves of duration is 1500ms;if the calculation all the QRS complex,heart rate to 80bpm,if only large R wave or S-wave,the heart rate to 40bpm. 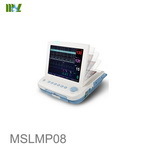 B) Slow change couple rhythm — if the calculation all the QRS complex,heart rate to calculate 60bpm,if only large waves,heart rate to 30bpm. 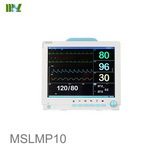 C) Fast couple rhythm — if the calculation all the QRS complex,heart rate as 120bpm. 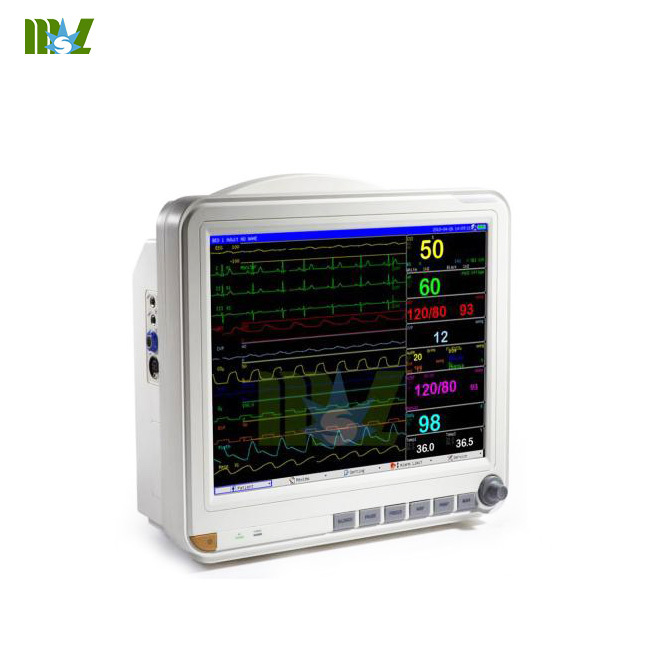 D) bi-directional contraction — if you calculate the QRS complex,heart rate to calculate 90bpm,if only large waves,heart rate to 45bpm. 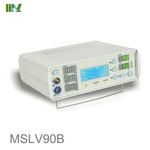 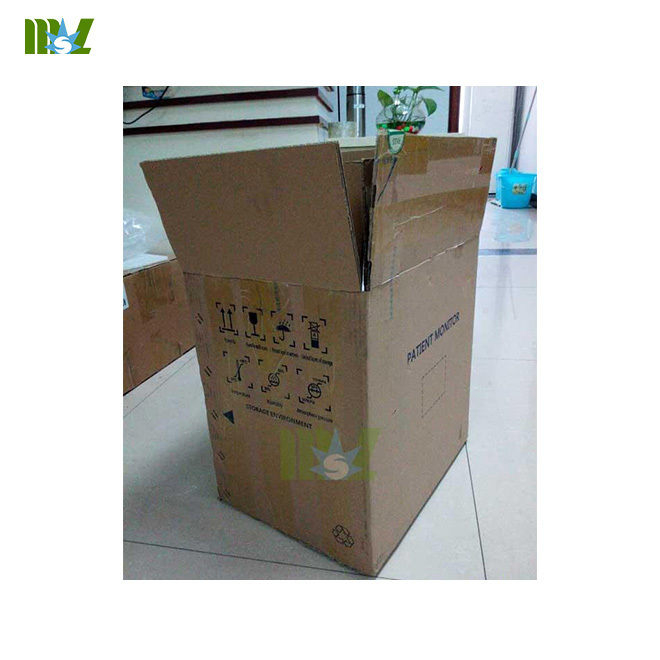 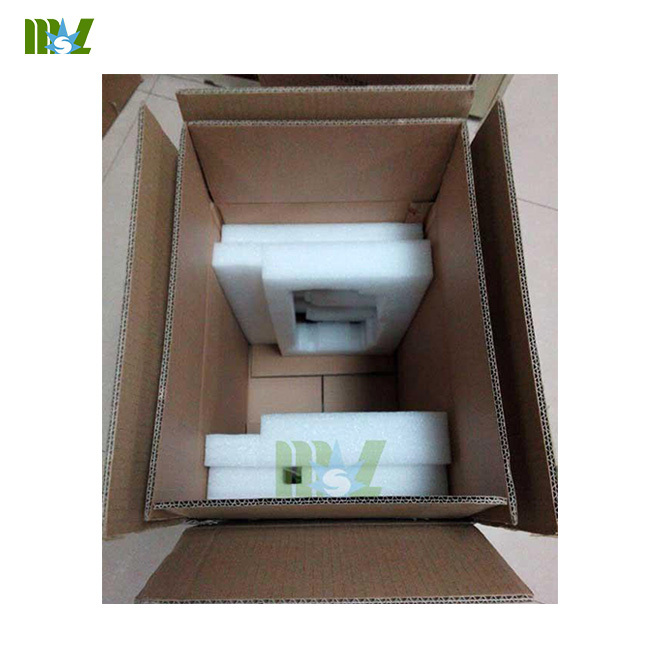 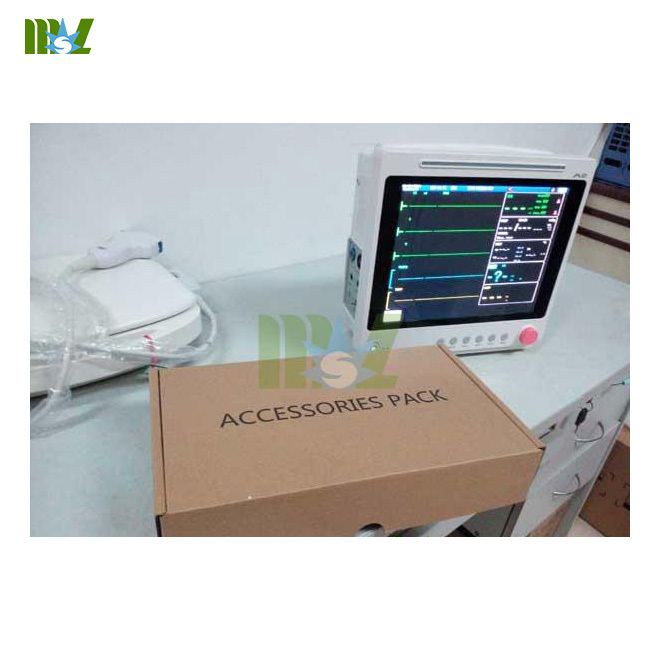 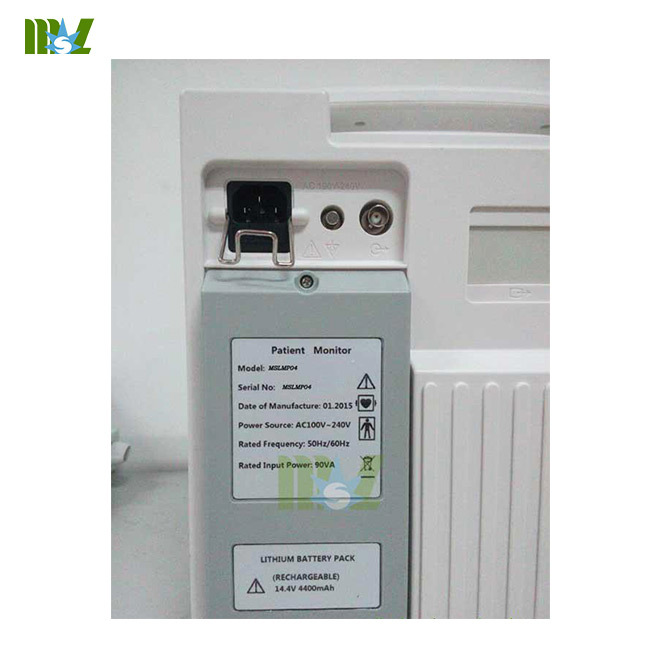 Monitor switch is open in the pacemaker,can inhibit the range:± 2 mV ~ ± 700mV,width:0.1ms ~ 2ms,rise time:10us ~ 100μs normal QRS wave single pulse without overshoot pacing pulse does not affect heart rate calculation. 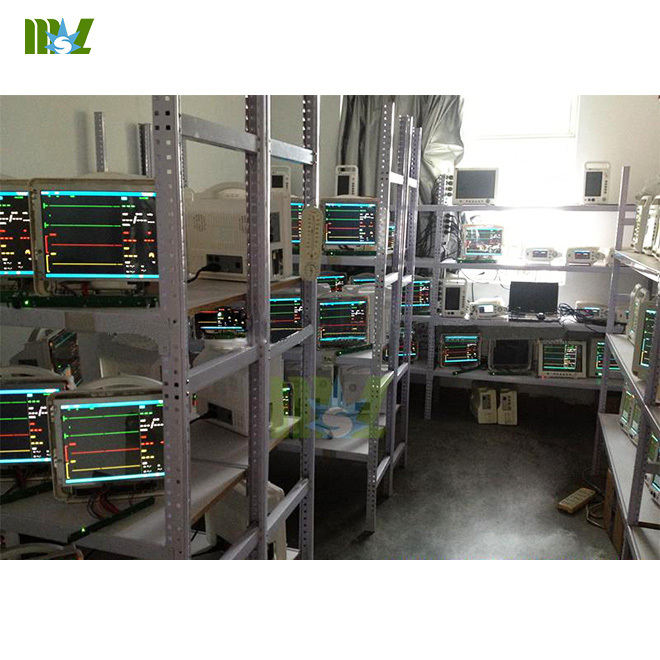 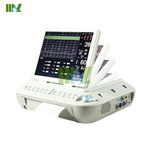 Monitor switch is open in the pacemaker,can inhibit the range:± 2 mV ~ ± 5mV,width:0.5ms ~ 2ms,rise time:10us ~ 100μs single pulse overshoot normal QRS waves of pacing pulses,without affecting heart rate calculation. 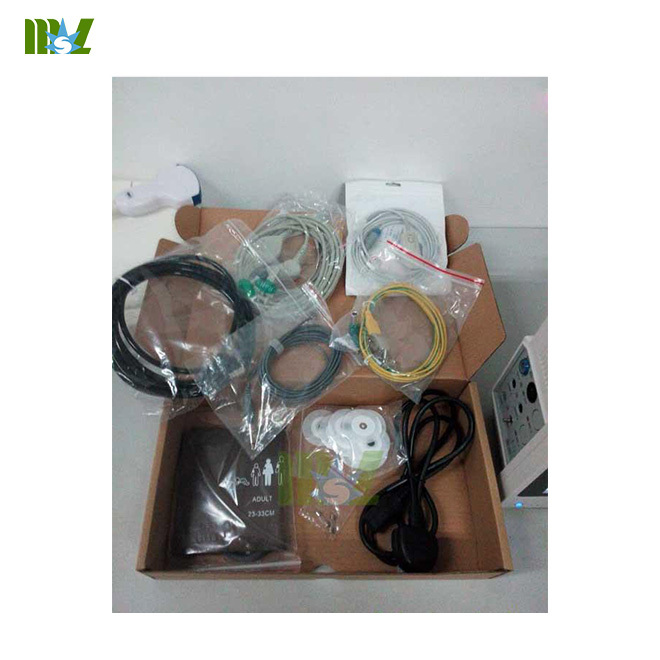 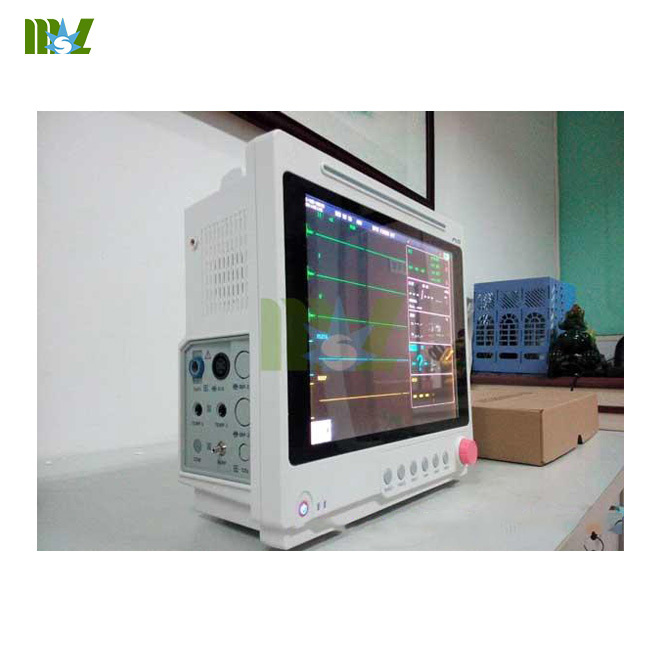 Monitor switch is open in the pacemaker,pacing pulse detector inhibition of rapid ECG signal to 1V / s RTI minimum input slew rate. 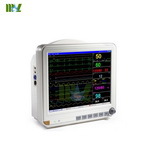 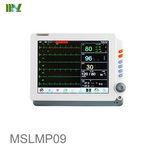 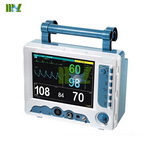 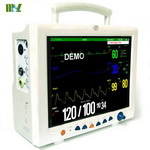 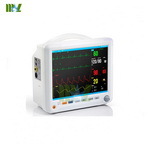 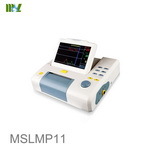 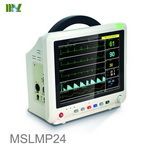 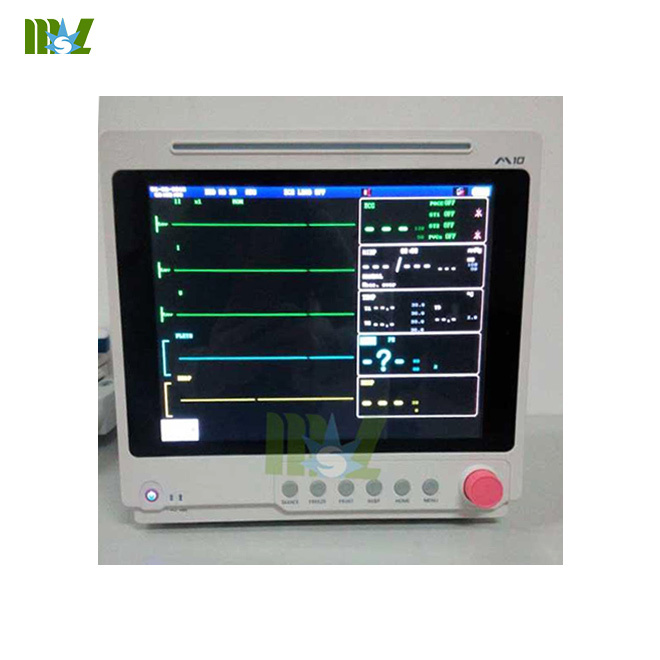 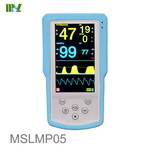 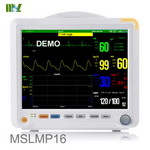 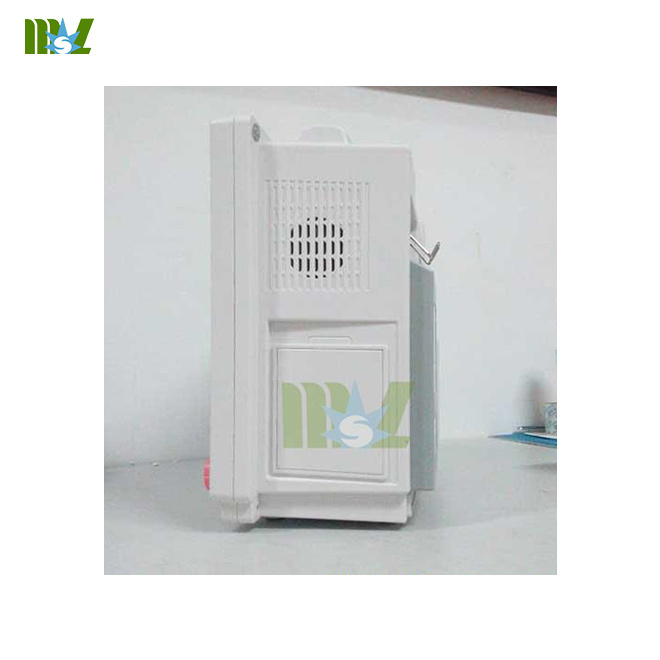 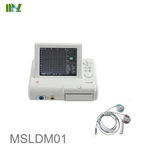 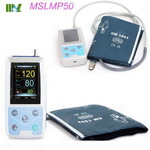 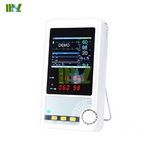 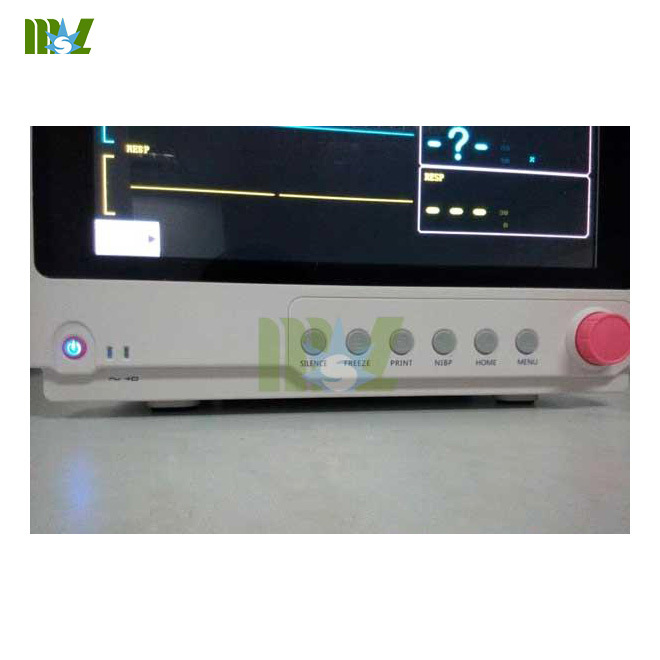 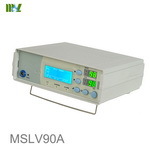 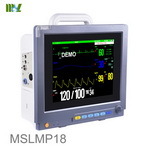 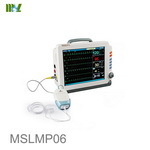 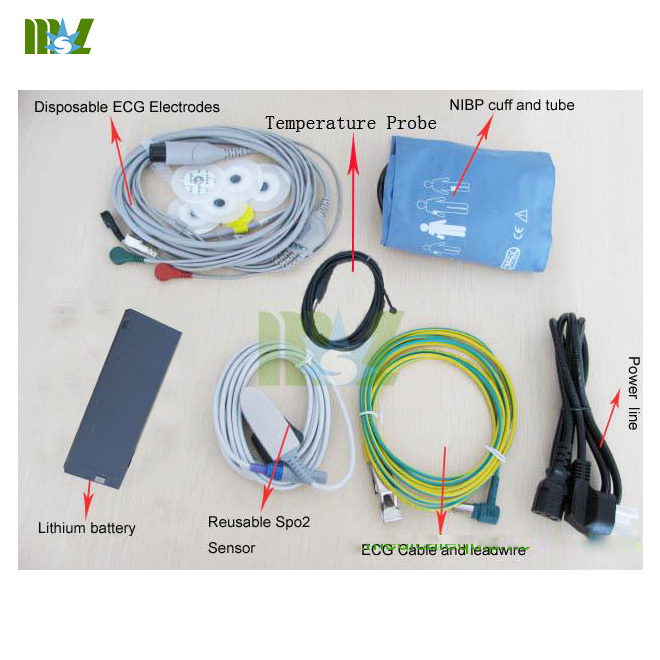 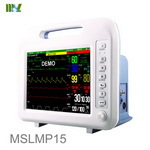 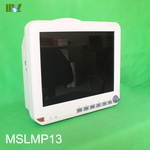 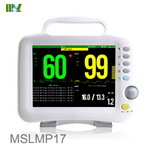 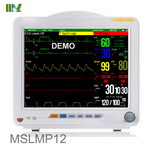 Advanced 12 inch portable Patient Monitor MSLMP03 Multi-parameter(ECG,SPO2,RESP, Pulse rate, TEMP,NIBP),you can click the picture.